The letter itself differed from its modern form. The letter usually comprised a single sheet (sometimes folded once in the middle to make a booklet-like page). This was folded in thirds, then the ends were folded together, with one end tucked inside another. Hot wax dripped onto the joining ends sealed the letter. The address or direction would be written on the front and rarely went beyond Name, Town (or house name), County. In London, a street might be indicated. To save money, correspondents often wrote down the page, then turned it and wrote across their previous writing. Thrifty souls would turn it yet again and write diagonally across everything else, producing a nearly illegible mess. This was called crossing and recrossing one's lines. The postmaster receiving the letter would write on the envelope the postage due by whoever received the letter. On Monday August 2, 1784, the Post began to change when John Palmer's first Mail Coach left the Rummer Tavern in Bristol at four o'clock PM, carrying the mail and four passengers (which later became seven passenger, with four inside). Palmer had long advocated postal reform and expansion. Increases in commerce, industry and population demanded it. After his friend William Pitt became Prime Minister, Palmer got authority to try his reform ideas. Palmer's Mail Coach reached Bath at five-twenty PM, and arrived in London at the Swan with Two Necks well before eight o'clock the next morning to deliver mail to the Chief Post Office in Lombard Street. The coach had traveled 119 miles in under sixteen hours, an incredible feat. Palmer received public acclaim and bureaucratic stone-walling, including a record of criticism which ran to three volumes of copperplate. However, Palmer's Mail Coaches began to take hold. By 1811, approximately 220 mail coaches ran on regular schedules from London to various major cities. These coaches used the post roads and cross post (post roads that did not pass through London), which could support the light, fast coaches. The Post Office continued its custom of farming out the job of postmaster, and letters still had to make their own way between post towns. Coffee houses, inns along these routes, and even carriage makers, held contracts to provide both horses at each stage, coaches and coachmen. The Post Office did use its own, scarlet-liveried employees as guards. These men had to read and write to fill out their time sheets (Way-bills). Each carried a timepiece set each evening before leaving the Chief Post Office at eight PM. As compensation for sounding the horn at toll gates, seeing the mail safely to its destination and carrying out the unpleasant task of reporting the misbehavior of any sub-contracted coachmen, guards earned an excellent wage-- half a guinea a week, plus sick pay and pension. Tips were allowed and could average as much as 2/- a passenger. As the Chief Superintendent of Mail from 1792 to 1817, Mr. Hasker also allowed his guards to carry personal goods and newspapers, provided this did not interfere with the mails. London had had its own General Post with local delivery since 1635 when Charles I opened the Royal Mail. 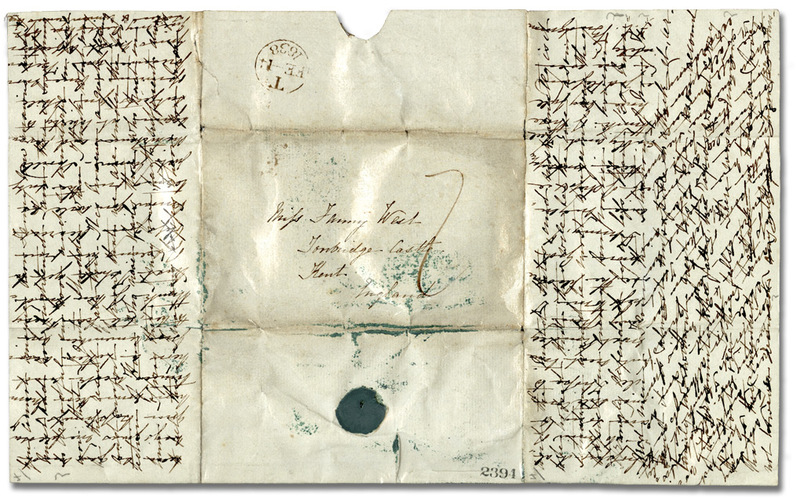 In 1680, William Dockwra began his private Penny Post, named for the penny charge to mail any letter up to a pound. Two years later, the government took over and continued operation of the Penny Post. It comprised the cities of London and Westminster and the Borough of Southwark, covering letters received and delivered within ten miles, while the General Post serviced both London and the country side. From 1680 to 1794, letters for London's General Post had to be prepaid 1d. This relaxed after 1794, with the condition that letters put into the Penny Post for delivery by the General Post still had to be prepaid. Letters from the General Post for Penny Post delivery were charged 1d on delivery, plus the General Post charge. In 1794, Parliament also lowered the weight limit to four ounces for any 1d letter. 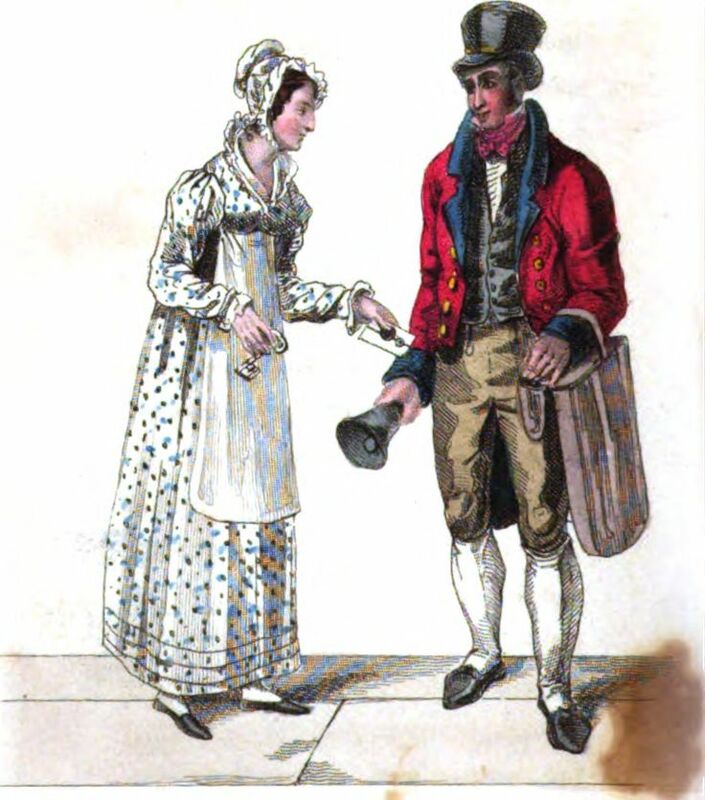 The General Post and Penny Post remained separate organizations with their own letter carriers and receiving houses (a large number of which happened to be stationers' shops). The only point of exchange came at the Chief Post Office. In 1792, Parliament gave letter carriers for the General Post uniforms of scarlet coats with blue lapels, a blue waistcoat and a tall hat with a golden band. Walking back from a delivery, the carrier rang a large handbell to indicate he could collect letters for an extra charge of 1d postage. 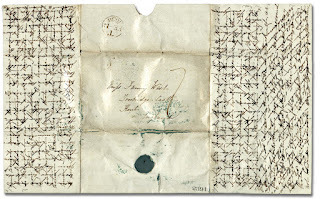 The letters went into the slit of a locked pouch for delivery to the Chief Post Office. 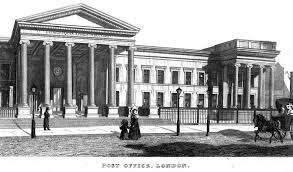 In 1794, London's five post offices (Lime street, Westminster, St. Pauls, Temple and Bishopsgate) became two: the Chief Office in Abchurch Lane, Lombard Street, and the Westminster Office in Gerrand Street, Soho. All London mail now passed through the Chief Office. In addition, service expanded to cover the seven rides surrounding London: Mortlake, Woolwich, Woodford, Edmonton, Finchley, Brentford and Mitcham. London post offered six collections (at 8, 10 and 12 AM; 2, 5 and 8 PM) and daily deliveries. The clerk stamped letters received after seven o'clock PM with that time or a TOO LATE stamp, for the window closed at seven forty-five so that mail could be shorted and bagged by eight for the last collection. The Chief Office charged an extra sixpence for such letters, with other receiving offices setting their own fee. Letters received at the Chief Office on Lombard Street on Sunday were sorted and posted on Monday as there were no Sunday deliveries. From the Post Office on Lombard Street, the blue and orange Mail Coaches departed every evening at eight. Passengers assembled at various inns throughout London for departure at half past seven. The coaches then stopped in Lombard Street to collect the mail and the guard, and departed London at eight PM. Lombard Street became so congested that by 1795 the six Western Road coaches began to leave from the Gloucester Coffee House in Piccadilly at eight-thirty, with the guard and mail traveling to this point from the Post Office. In 1812, Cary's Itinerary listed 37 inns with stage and mail coach departures. By 1815, this grew to 44, with inns having as few as 3 or as many as 35 coaches departing. In 1815 alone, of the 20 coaches leaving the Angel Inn, St. Clement's, Strand in London, five are daily post coaches and four are daily Royal Mail coaches. The Bull and Mouth, Bull and Mouth Street, boasted the record of having thirty-five coaches departing, including the Royal Mail to Edinburgh, while the Swan with Two Necks, Lad Lane, listed the original Bath and Bristol coach, the Royal Mail to Bath, the Brighton Post Coach, and the Prince Regent coach to Dover and Paris. Since the post office's beginning, its revenues went to the crown, which held the right to grant the privilege of signing a letter and having it posted for free. This practice, known as franking, extended to both Houses of Parliament and certain officials. In 1764, postal revenues were given to Parliament in return for the crown being able to submit a Civil List to award honors. Thereafter, Parliament authorized Free Franking. Letters were stamped FREE when franked. Nearly everyone abused the privilege. Most considered a stack of signed blank sheets from a Member of Parliament's to be a common present after a short visit. Franks could also be issued, by law, by certain public offices both in London and abroad. To curb abuse, Parliament made forgery of franks a felony, punishable by transportation for seven years. As of 1784, reforms required all franked letters to have the signature, as well as the place and date of posting written at the top by the person franking it. Limits on the numbers of letters that could be franked were imposed, but how could a lowly postmaster tell an undersecretary not to frank more than ten letters a year? During these years, 1780's to early 1800's, it became a hobby among some well-bred ladies to collect franking signatures from letters. Rather the Regency equivalent of collecting autographs. Some ladies strove for a broad collection, while others specialized in particular friends, MPs or relatives. Prior to 1836, newspapers and some other printed material such as charity letters and educational materials could be also franked for free postage to postmasters by the six Clerks of the Road. A tax of 4d had been imposed to cover the cost to handle newspapers. However, publishers were not shy about franking their own newspapers. Booksellers, after Parliament imposed higher postage rates in 1711, also wrote the names of Members of Parliament for free postage, with the approval of the postal Surveyors appointed in 1715, who administered function and facilities of the postal roads. In addition to franking, from 1795, Parliament granted privileged rates to those serving in the Army, Navy and Militia, with no letter charged a rate higher than 1d. Over the year, this extended to every branch of military service, including, in 1815, the soldiers and seamen employed by the East India Company. While privileged rates continued for the armed services, all free franking was abolished with the introduction of the penny postage stamp in 1840, which marked the beginning of the modern post office as we know it. When Rome occupied England, the mineral baths in the English town now known simply as Bath was a hub for social, religious, heath, and recreational activities. Rich and poor alike flocked to the healing waters seeking cures, or at least relief, from all manner of health complaints such as palsy, arthritis, gout, skin diseases including leprosy, and many chronic and terminal illnesses. Both genders bathed together, some clothed, some not. I’ll leave it up to your imagination to decide whether they stayed focused on getting relief from their ailments. The engineering that went into creating the luxury spa two thousand years ago is truly mind boggling. There are many rooms and a complex system of pumps and pipes that carry the water from the main spring to other parts of the elaborate Roman structure. I might have been tempted to bathe in a shallow tub of the mineral water if I had found the opportunity, but I can't imagine being desperate enough to get into that enormous pool of murky green water that is the main part of the Baths. Not only was it green and murky, but it occasionally bubbled. It was kinda creepy. Plus, I couldn't see the bottom. Still, I had to admire the workmanship that went into the design and construction, and the fact that such an ancient structure remains, a testament to those who lived here so long ago. While there, one can imagine people long gone. In the waters, some frolicked and others simply immersed themselves hoping for a miracle. All of them walked or were carried across the rocks that still bear the wear marks of thousands of feet. Today, the original bath is open for tours, but not for bathing so as to preserve its structure. Visitors are admonished not to even touch the water. Modern bath houses provide visitors the opportunity to bathe in the warm mineral waters that many agree has healing properties. Unfortunately, England was in the throes of one of the worst heat waves on record during my visit, so a warm bath lacked it usual appeal. People came here to “take the waters,” a Georgian term meaning bathe in the warm mineral pools. 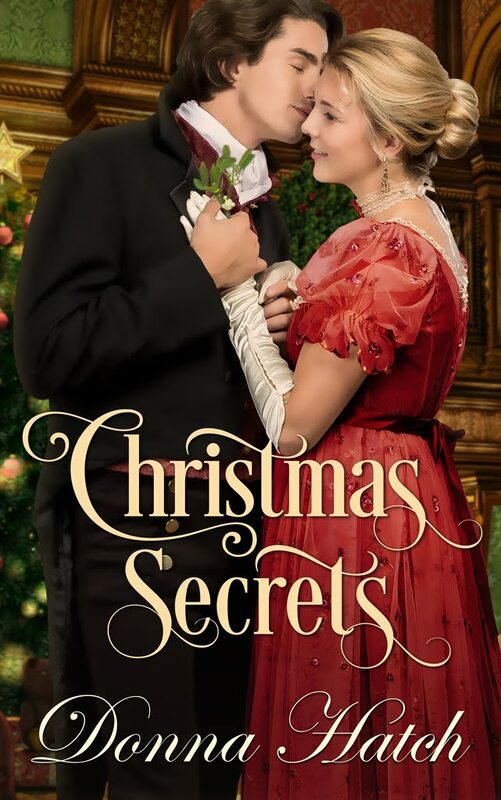 “Taking the waters” also meant to drink water from the Pump Room, which became a gathering place to socialize and flirt, as well as drink the water they believed would cure them of all manner of ailments. Inside the Pump Room is a lovely, antique pump that squirts out water in a continuous flow so those who desire may drink it. After the Romans pulled out of England, they abandoned this unique area to the ancient Saxons and Normans. Later, Christian churches arrived. During the Georgian Era, Bath became a fashionable resort town. The Pump Room I visited was a new version built in 1777 to replace an older one originally constructed in 1706. Apparently, the excavation process of this new Pump Room led to the discovery of the Roman Temple. In case you are wondering, I did not drink the water when I was there. Remembering its green, murky origins a few feet below, not to mention its smell of Sulphur and its reputation for tasting awful, was enough to discourage my sense of adventure. I suppose if any of my characters ever drink the water, I will have to get more detailed second-hand accounts of its foul taste. But let us return Georgian society in Bath. 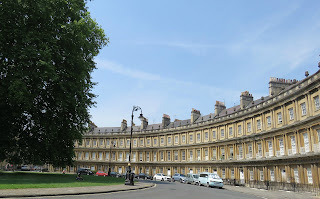 With the arrival of the wealthy, some of whom only stayed for the summer, and others who made Bath their permanent home, beautiful homes and neighborhoods cropped up, including The Circus, a circular-shaped neighborhood of beautiful townhomes, and Royal Crescent, an even more upscale set of luxury mansion-style townhomes in the shape of a crescent as its name suggests. I toured one of these townhomes, Number One Royal Crescent, which is a glimpse into life as a wealthy, Georgian gentleman. Jane Austen lived in Bath for several years with her family. 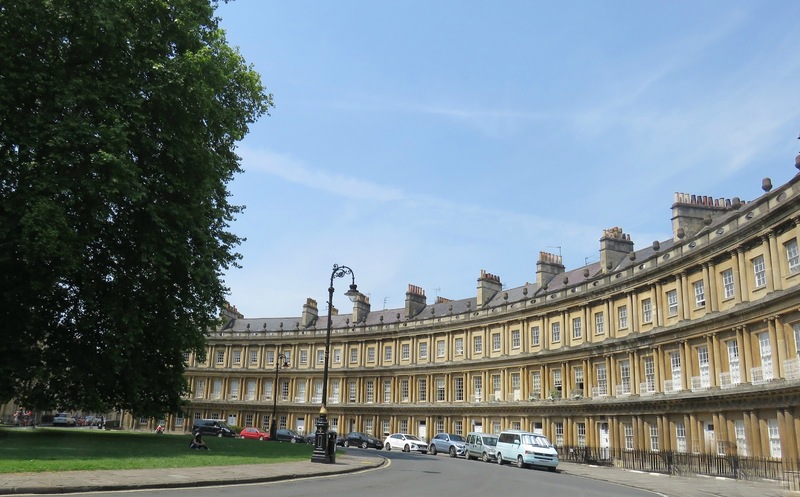 While many claim that Jane disliked living in Bath, a large portion of two of her novels, Northanger Abbey and Persuasion, took place in Bath which she portrays as an exciting and lovely place. Beyond enchanting, Bath has a timelessness about it. Walking the streets, I easily imagined myself a character in a Jane Austen novel. Strolling along the river, having afternoon tea in the Pump Room, prowling the streets, and exploring the Roman Baths creates a sense of having time traveled. With each step I took, I could almost see images of those who’d trod those cobbled paths before me including kings and queens, lords and ladies, and poets and authors including our beloved Jane Austen. My interest began years prior to my trip to Bath. I even set the beginning of my novel, A Perfect Secret, written five years ago, in Bath. Now that I have visited Bath, I may have to write another novella that takes place in this ancient and unique town just to relive my adventures there. Welcome to our blog for readers and writers--or anyone, really, who loves history! 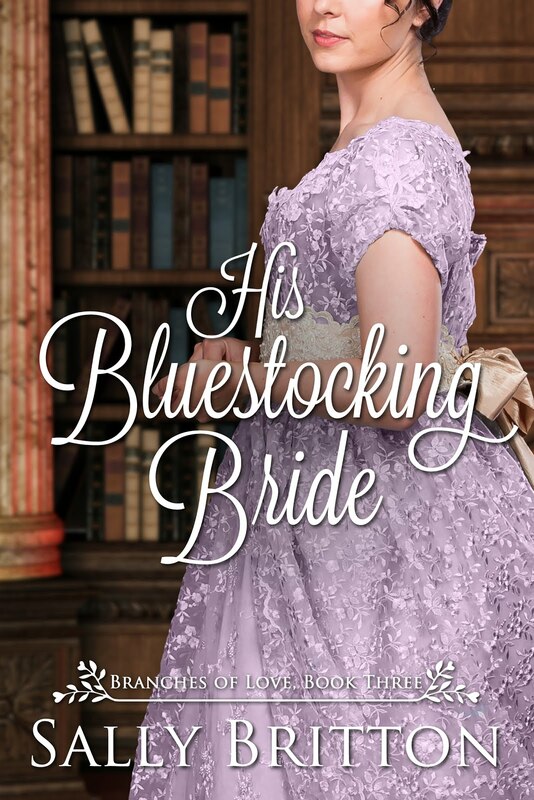 We are historical romance authors. Very well, we confess; we're historical nerds! We are fascinated with ancient wedding traditions, Irish food, Roman Warfare, Regency Clothing, Scottish swords--you get the idea. Watch our blog for informative tidbits that just might figure in your next manuscript or deepen your appreciation for the next book you read, or even give you some useless trivia to spout at a party when you can't think of a thing to say. We welcome comments and followers, so chime in and enjoy the group! My Regency comedy A MUTUAL INTEREST IN NUMBERS is here! What Did Regency People Name Their Pet Ducks?